Description: Forster 4651 375 H&H Magnum Full Length Die Set Forster Bench Rest Reloading Dies are of excellent quality and provide the reloader with the ability to produce concentric rounds time and time again. Each die is manufactured from the finest quality steel carefully machined to very tight tolerances. Dies are hand polished both before and after the heat-treating process to guarantee an extra fine finish. All Forster reloading dies feature their Forster Cross Bolt Die Locking Ring that tightens the two ends of the split ring instead of tightening a screw directly into the threads of the die. A full length two die set is the die set beginning reloaders should start with, and the die set most hunters and many target shooters use every time they reload their cases. These Forster full length die sets include a full length sizing die and the Forster Bench Rest seater die. Forster full length sizers feature hand polishing and the E-Z case neck expander system - a Forster exclusive. 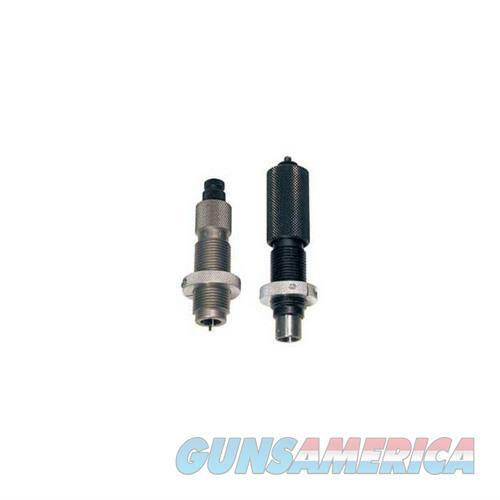 NATIONAL MATCH DIES reduce headspace by .003" and are intended for bolt action target rifles only.